We use the term "serious" here as both these watches and their associated online and app platforms include a plethora of physiological and training features as part of the package. The last few years Polar has introduced wrist based heart rate monitoring to their GPS watches. The "square" and a bit square looking M430 has an 8 hour battery battery life extendable up to 30 hours with 1 minute sampling. Dozens of sports modes are configurable and many training programs are available. We found its 6 LED light heart rate sensor and comfortable wrist conforming fit produces among the most solidly reliable heart rate data out there. Read our full review including YouTube features walkthrough here. Lightest, longest battery life, most fully featured multi-sport watch available today. Weighing a minuscule 41 g with up to a 24 hour battery life, extendable to 60 hours, the all button operated, color accented screen 935 has been our reliable goto for all races in 2017 . Easily configurable, even on the go, the 935 offers every imaginable option including breadcrumb route navigation, a barometric altimeter, recovery and physiological analysis including V02 Max, Training Load and Status along with of course wrist HR and external sensor connections. Your only step up from the 935 is to go with the metal bezel Fenix 5 series, more color choices and the bezel with a touch more potential bang on rocks durability, being the only substantive difference. The 935 offers a full suite of smart watch features including activity and sleep tracking, phone notifications and music control but its real strength is on the road or trail, on the bike, or in the water. Add the Running Dynamics Pod which clips to your shorts to give you on the go bio mechanics data. Fully featured and capable GPS run smart watch for $100. Epson's new ProSense line sets a high bar for accurate sensing and a decently full set of run training features at very compelling prices. Unlike many previous "value" watches the ProSense includes Bluetooth connectivity, no cable required, as well as basic smart watch features including activity and sleep tracking, music control and phone notifications. And did we mention up to 13 hours battery life. 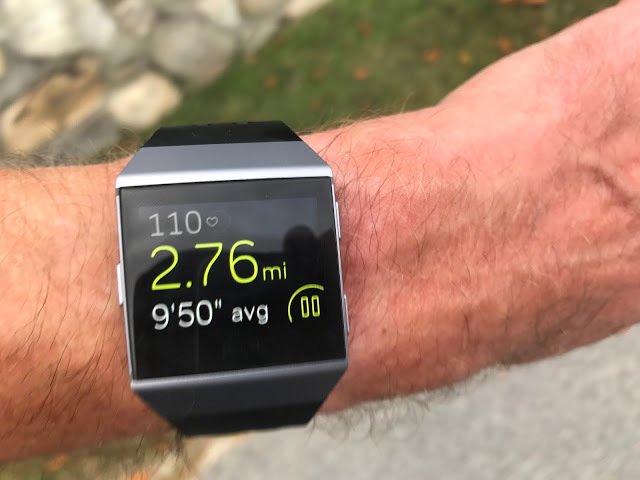 A run training focused watch it includes configurable alerts, lap screens, cadence, and even stride length data fields. The ProSense 57 ($150) includes wrist heart rate which we found among the most reliable at any price. 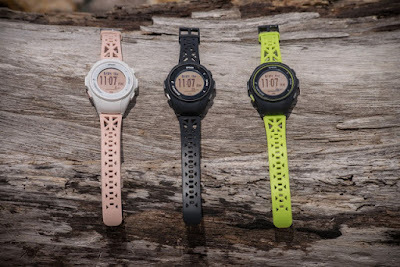 Step up another $100 above the 57 to $250 and you get the 307 with its electronic paper Easy View screen and up to 20 hours GPS and wrist heart rate extendable to 24 hours with GPS only, additional data fields, in pool HR sensing, race time estimate and training effect. Tip: I am finding that wearing the Epson looser than I would normally wear wrist heart rate watches produces better HR accuracy. The Vivosport ($200) is an unobtrusive GPS and wrist HR band with full smart watch features. It is the smallest sized lightest such combination from any major brand. It is ideal if you plan to wear a watch or jewelry on your other wrist or even on the same wrist. 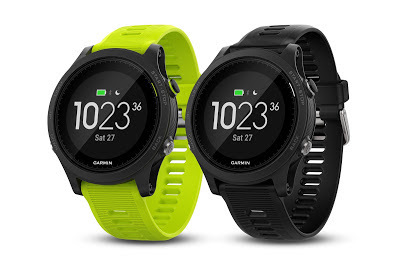 You'll find all the basics for run training on the surprisingly visible tiny touch screen including average pace, distance, HR, zones, time, etc... As the other Garmin you will get activity and sleep tracking, music control, and phone notifications. 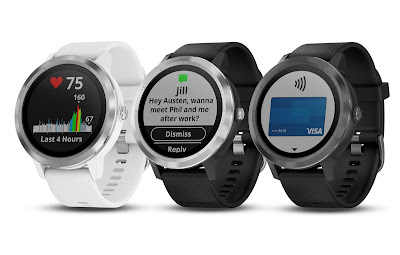 The Vivoactive becomes a classy round metal bezeled watch in the new Vivoactive 3 ($300). It can be your only watch around the clock for all your work and play activities. Stepping up in features from the Vivosport, it includes a combination single button swipe high resolution screen, a barometric altimeter for altitude and descent/ascent data for trail running, skiing and hiking, more run and other data field options than the Vivosport and configurable directly on the watch, along with contactless payments for that after run coffee. 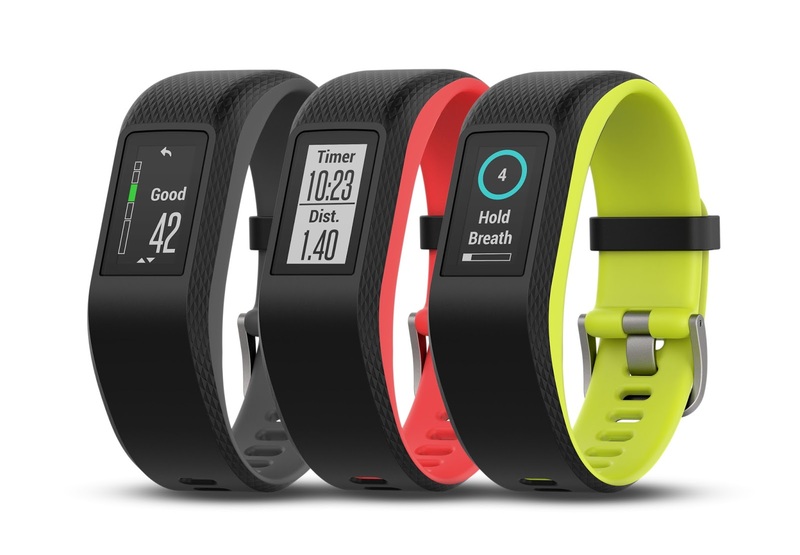 The Ionic ($300) is Fitbit's first featured GPS smart watch. In addition to all of Fitbit's excellent health and fitness insights and especially its activity, sleep and cardiac insights captured 24/7 and automatically, it includes a more than adequate run mode but is not yet quite up to the level of customization of dedicated run GPS watches. We say yet as the Fitbit app platform is designed for easy expansion of features. 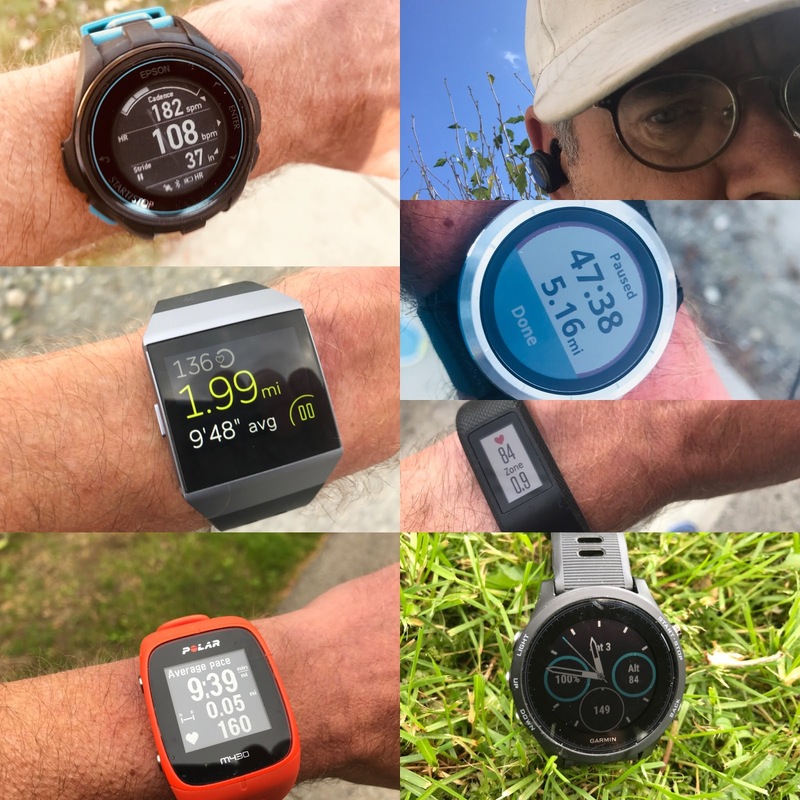 The battery life spec, confirmed in our testing as conservative, is 4 days all day use and 10 hours GPS/HR training mode so double its obvious Apple Watch and Android Wear competitors and approaches battery life of many dedicated GPS watches. The screen is stunning in its definition and clarity. Pair your Ionic or any Fitbit to the stylish new Aria 2 scale. 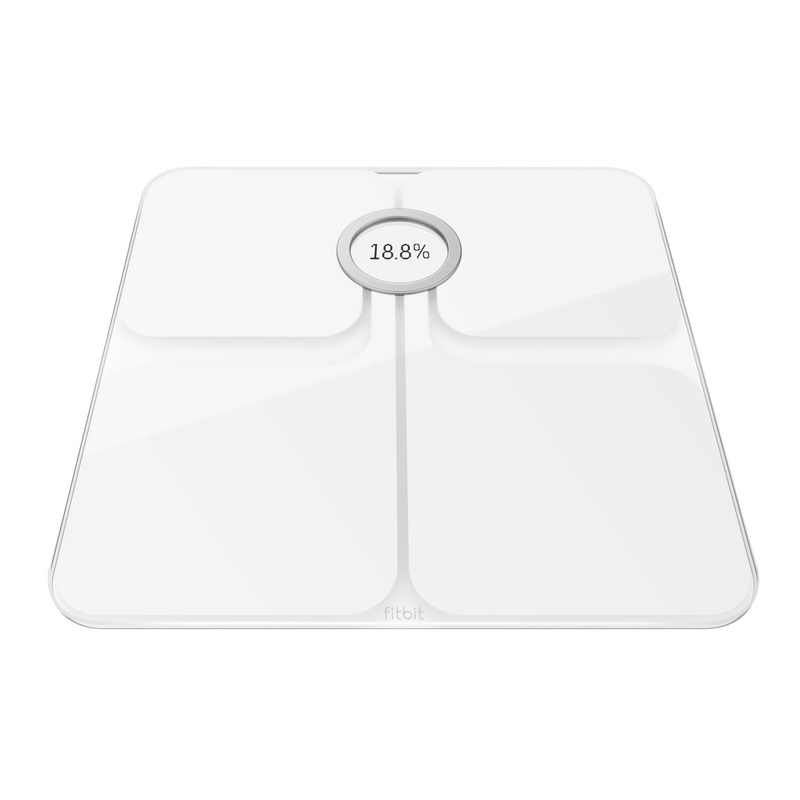 It will seamlessly automatically transmit your weight, BMI,and body fat percentage estimate via WiFi to the app via the internet so no phone nearby required. Wire free music listening arrived in 2017 with smaller, longer battery life, and more comfortable options emerging. Bose somehow packed speaker big richly immersive sound into comfortable, completely wire free earbuds. They are quite large, as they need to be to produce such incredible sound, but can be fitted securely and without pressure with the included fit options. Sporting sweat proof construction and a respectable 5 hour battery life and 10 hours more from the charger case they have become my most frequently reached for buds of 2017. Given no wires and the steep cost losing them is a concern. Bose has a handy find my buds section in the companion app. Not only can you see where they are or were last when they had a charge on a map but the app can ring a live bud with a loud enough tone to hear through a bag. 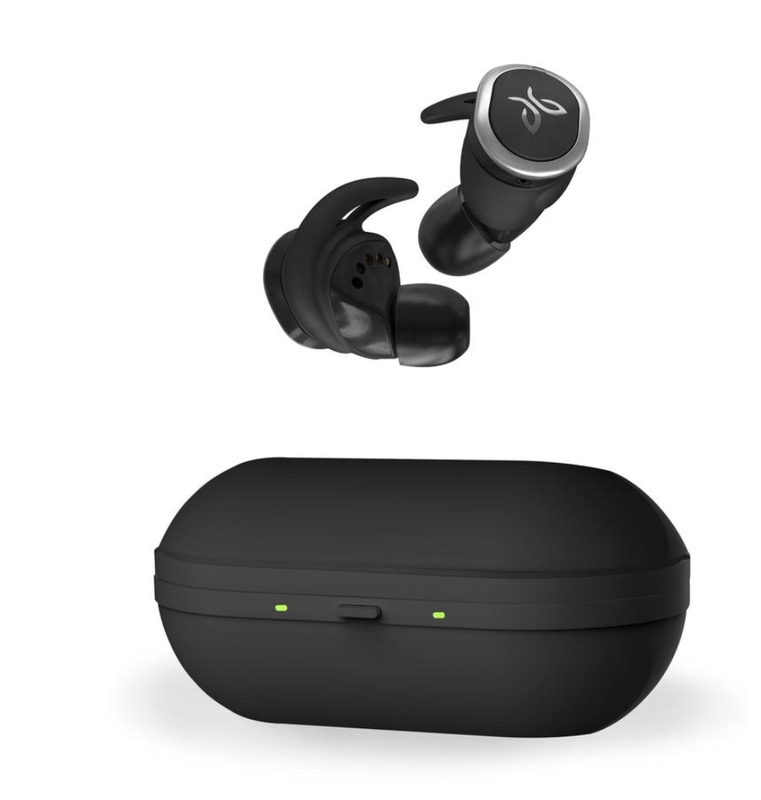 Jaybird is focused on run and sport worthy earphones above all else. That's all they do. 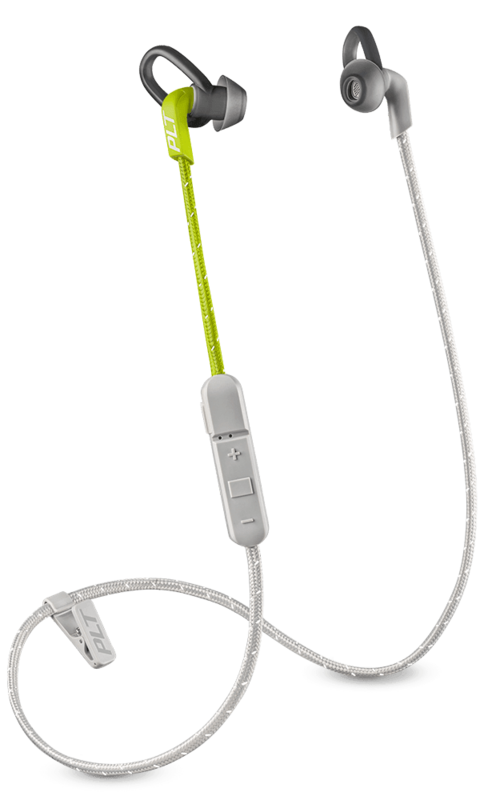 Fairly priced for wire free buds the sweat proof Run has wonderful sound that can be tuned via music type pre-sets in the companion app and even customized further to your preferences. The app also includes staff and community run playlists streamed to the buds via Spotify. Battery life is 4 hours with 8 more from the charger case. Not to worry on those long runs as the case can charge an hour of play time in 5 minutes, among the fastest such rapid charge specs we have seen. As with all earbuds and especially wire free it is important to get the right secure but comfortable fit with the Run using the several available ear gel and wing sizes. As with all earbuds my left and right ears required different fit set ups. 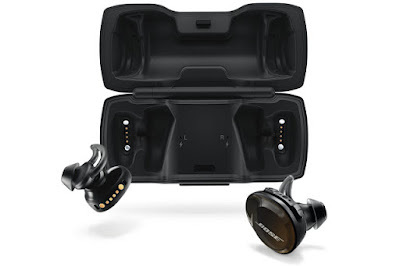 BackBeat, a Plantronics brand, really knows how to make earphones comfortable with minimal fit fuss. Plantronics has been building headsets for industry for decades so they understand the ear comfort and clear sound. The 300 is no exception. The sound is excellent and rich, surprisingly so given how small these buds are. Fit is fuss free here. 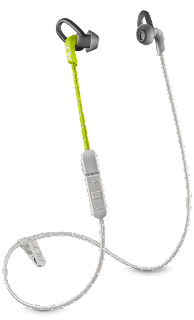 The patent pending ear tips are tiny so fit with the supplied gels covers all size ear canals with the unusual soft rectangular ear wings keeping things secure and pressure free, The two tone cord is cool looking and is an actual braided cord so rugged and reflective to boot. The 300 is sweat proof and has a 6 hour battery life. With a 7 hour battery life and music on board you can leave your phone behind, listen to on board music, if you wish stream HR to your GPS watch. You can toggle between on board music and music from your phone with a simple button press. All the features are controlled by very intuitive easy to operate dual 4 way mini joy sticks, one on each pod: left side music and call functions,right side training functions. It's computer based app, website and phone app combination is a bit retro and awkward but manageable. At heart Kuai Fit is a zone based training system and as such you can set up extensive alerts for HR, cadence, distance and calories all with hi low ranges. Want to change zones on the fly? Just press the joystick button to change zones. Free and optional paid coached training plans for running and fitness are available with the audio coaching loaded to the music player's storage. 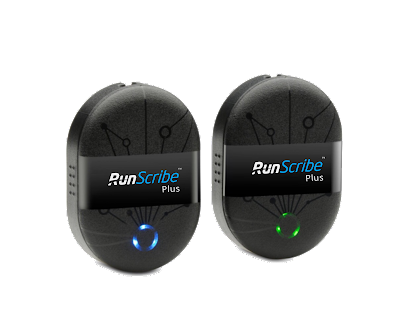 Run Scribe's two tiny pods clip to your shoes and captures phone free a wealth of bio mechanics info focused on Efficiency, Shock, Motion, and Symmetry. 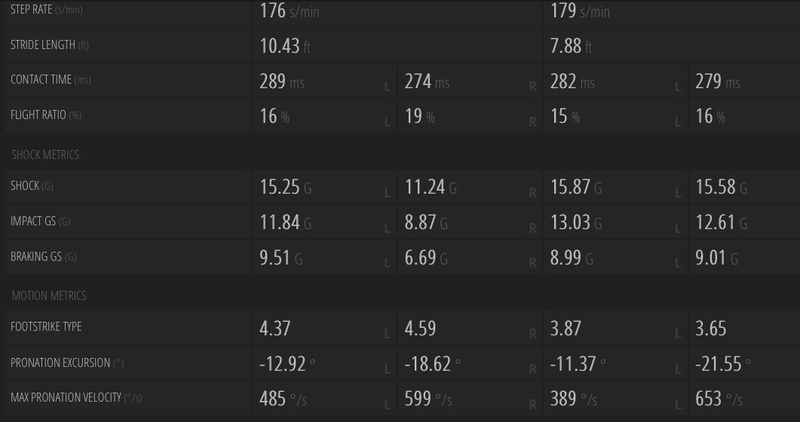 You can analyze and compare your data and compare to the community in the excellently designed dashboard. 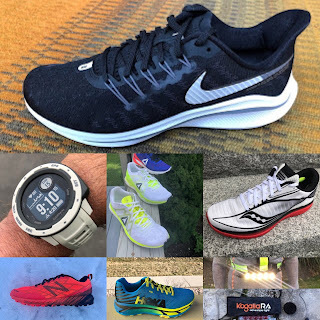 We particularly like to compare our efficiency in different shoes at similar paces focusing on our stride rate, ground contact time and flight ratio %. 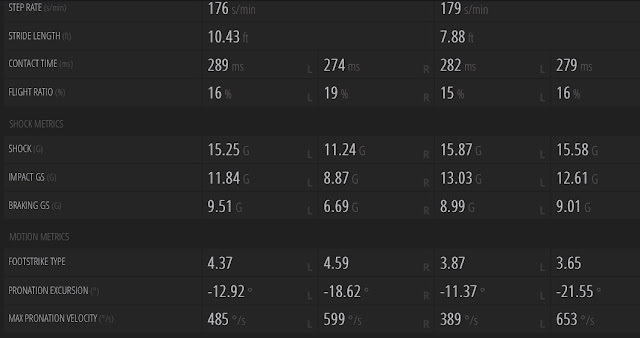 RunScribe is also useful to evaluate the effect of training and cross training on your metrics and can be helpful to monitor injury recovery or onset. The Plus now includes Run Power which can be streamed live to data fields on Garmin Connect IQ and Suunto. 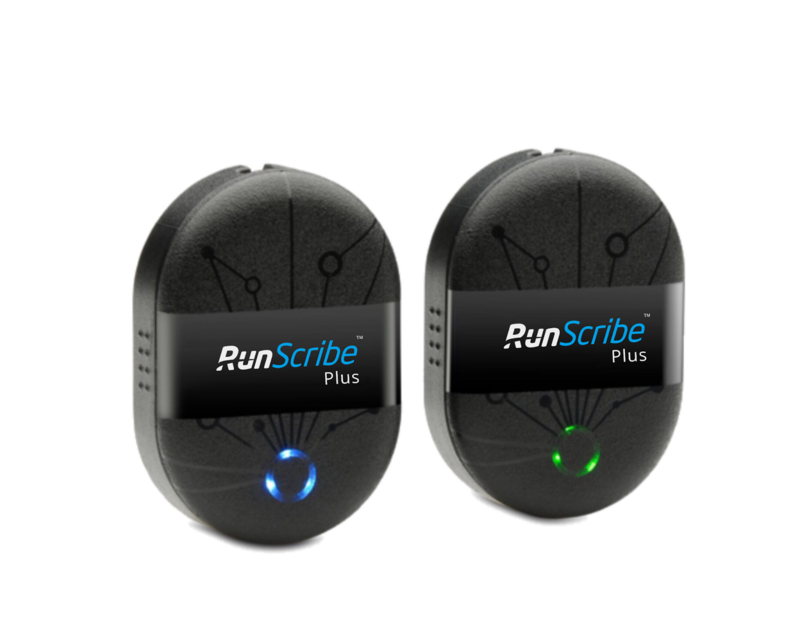 Shop for the RunScribe here. Use our Coupon Code: RTR15 for 15% off! Very nicely written information on Running Smart Watches. Now a days everyone is too conscious about their health Running Smart watches really help us to maintain our health report, I am using using Microsoft Band 2, it monitors 24/7 optical heart rate, its web dashboard is also available, also it analyze our calories lost, stairs climbed, steps, exercise, and sleep quality, you can read more reviews of it, available in very low cost.